Classic sophistication is the defining look here! Concentric circles of black, copper and cream form a stylish border surrounding the black face. Roman numerals contrast perfectly in white. The look is completed with a fob attachment on the top. 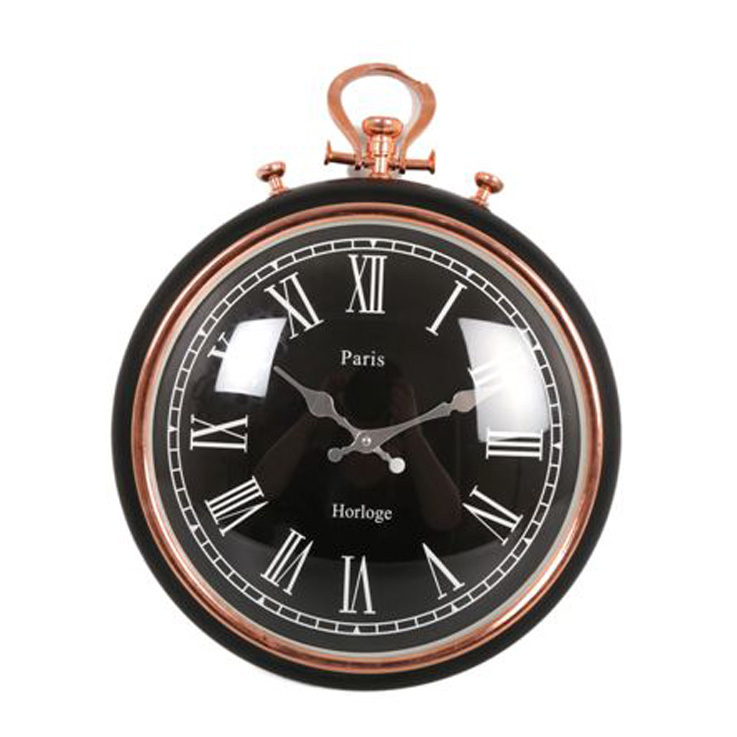 Mount this lovely timepiece in your entrance hall, study or office. The clock features a glass lens and a precision quartz movement. Size 38cm diameter.